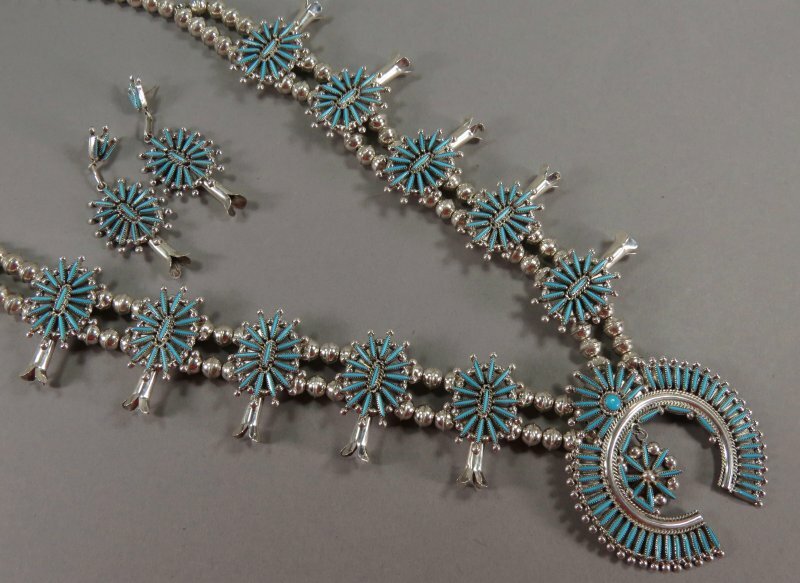 Zuni neckwear encompasses what is known as choker sets, full-length necklaces and squash blossom necklaces. 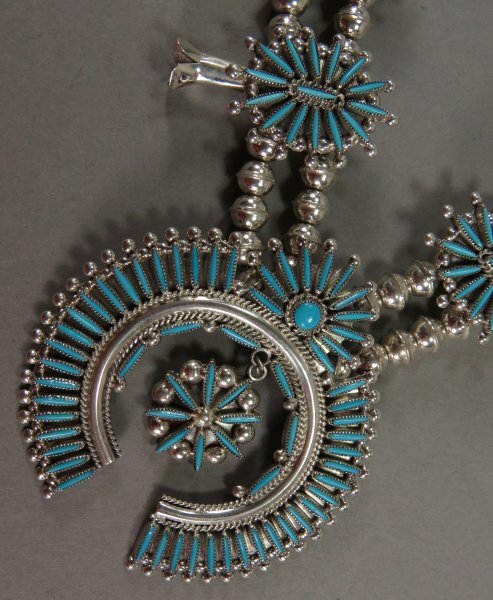 The number of Zuni jewelers who make these sets is limited in number as compared to those making earrings or rings. 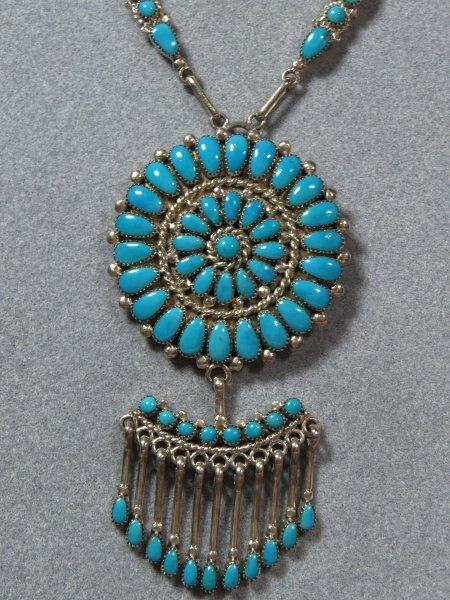 However the quality of the workmanship is nonpareil. 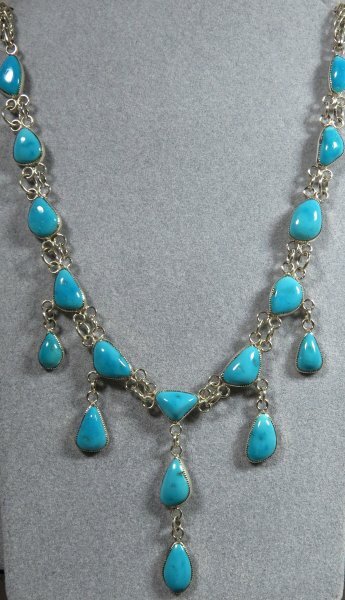 These pieces are usually made using quality turquoise or coral. 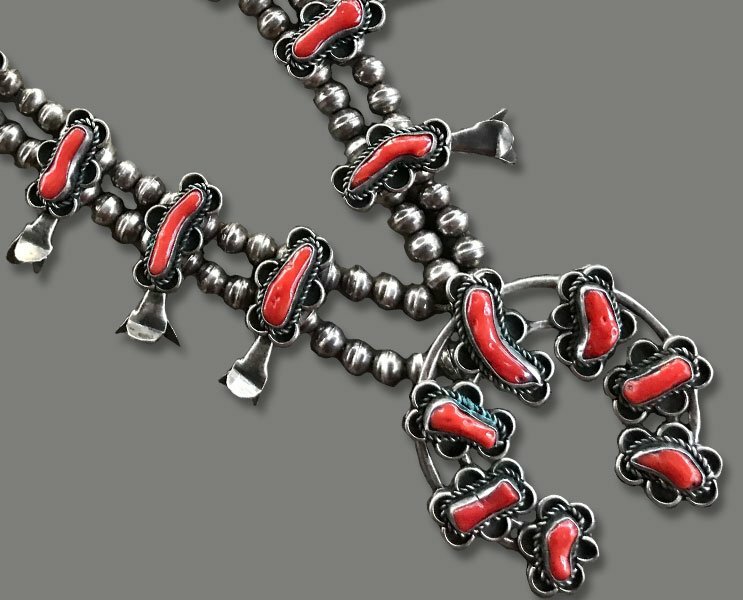 The silver work underlying each piece is immaculately made as can be seen by examine the reverse side or looking carefully between the stones on the front side. 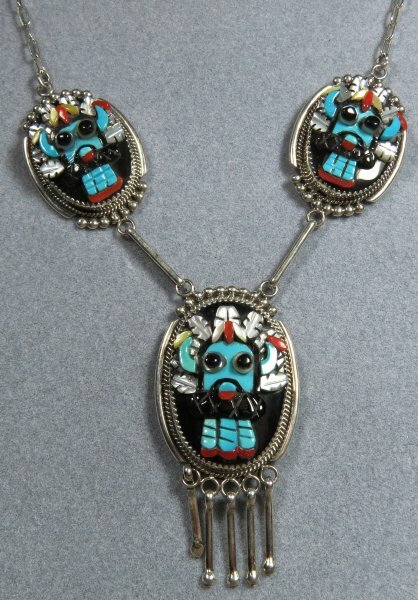 The three major divisions of Zuni neckwear are as follows: choker sets (short necklaces worn on the upper chest), pendants (worn on a chain) and squash blossom necklaces. 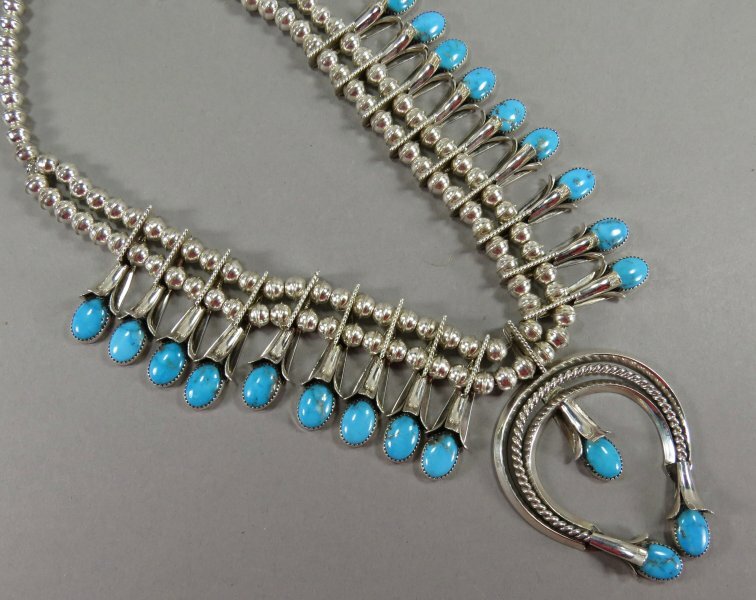 The Zuni artists on display here include: Lorraine Waatsa, Edmund Cooeyate, Beverly Etsate, Smokey Gchachu, Mary Ann Chavez, Bryant Waatsa, Jr. and Eva Wyaco.